Bali is a small island across the strait at the eastern end of Java, the main island- it’s a three-hour flight from Singapore. Bali has the Indian Ocean on the south and the Bali Sea on the north separated by mountains that rise over 2000m (6600ft). Gunung Agung, the active “mother” volcano rises to over 3100m (10300ft). 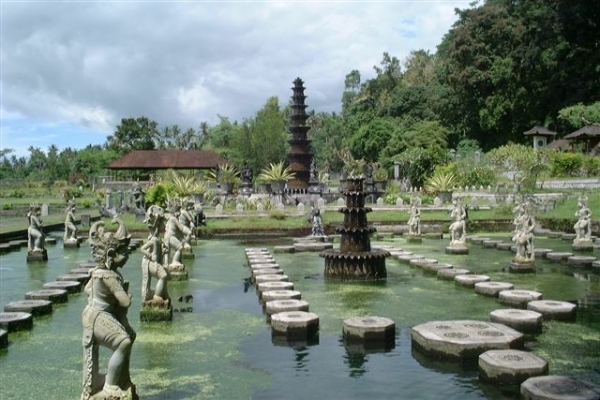 Bali, often referred to as the Island of the Gods, is a land of fiery volcanoes and fertile valleys shrouded in mist. Terraced rice paddies line deep gorges while resorts dot the shoreline. Fruits and vegetables are plentiful and sounds of the gamelan are never far away. 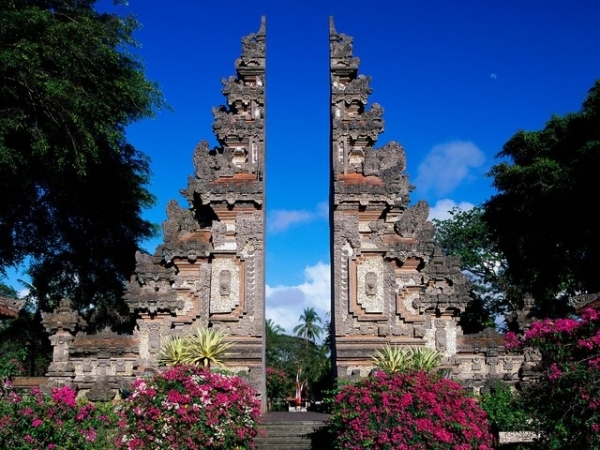 The emphasis in Bali is on harmony and culture. This divine island has much to offer yet most visitors go no further than the southern beaches. There is much to see here and accommodation is available to fit every budget. Temples, flanked by walled courtyards, outnumber houses and beautifully landscaped water gardens peer out invitingly from homes and businesses. 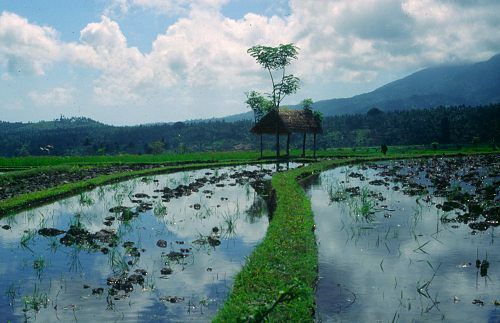 It’s hard to imagine a more picturesque island than Bali. Pura Rambut Siwi, Bali – A lock of hair from 16th-century Hindu priest Danghyang Nirartha is buried in a sandalwood box inside this cliffside temple. 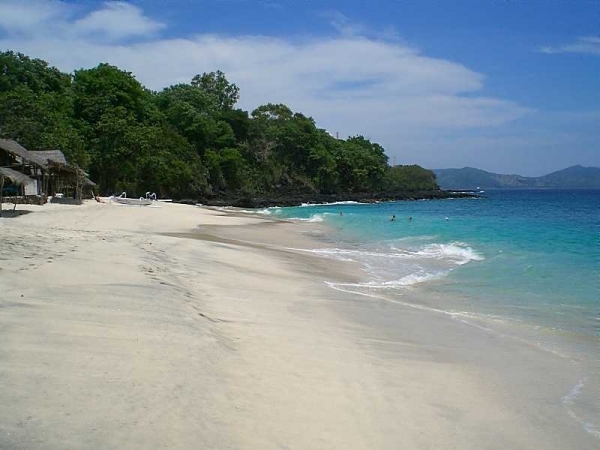 Jimbaran Bay, Jimbaran – This peaceful beach is well known for its wealth of seafood restaurants. Lake Batur (Danau Batur), Kintamani – This crystal clear lake, some 65 meters deep, was formed by an ancient volcanic eruption.